Yamaha 135LC’s inaugural convoy ride from Johor Bahru to Bangkok to cover approximately 2370 km. Johor Bahru, 13 March 2012 – Hong Leong Yamaha Motor (HLYM)/ Hong Leong Yamaha Motor Research Centre (HLYR), and Yamaha Motor Asean Center (YMAC), Bangkok jointly organized the first ever Yamaha 135LC convoy ride from Johor Bahru to Bangkok today. The XPEDISI YAMAHA 135LC 2012 was officially flag-off by Mr Mizuno Takayoshi, Director & General Manager, R&D Yamaha Motor Asean Center, Bangkok and Mr. Leong King Choon, General Manager, Sales and Marketing of Hong Leong Yamaha Motor. 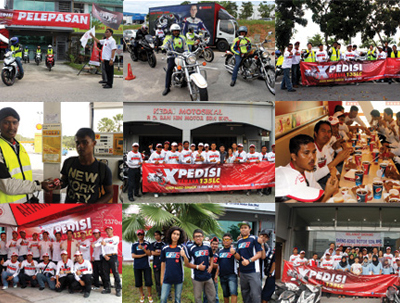 The riding convoy consisted of 9 Yamaha staff from Japan, Thailand and Malaysia. This XPEDISI YAMAHA 135LC 2012 will cover a total distance of approximately 2370 km over a period of 11 days from 13th to 25th of March starting from Johor Bahru with stopovers in Kuala Lumpur, Pulau Pinang, Perlis, Padang Besar, Krabi, Phuket, Phang Nga, Chumporn, Hua Hin before reaching Bangkok. “The aim of this ride is to promote “Safe Riding” and showcase the superior riding performance of Yamaha 135LC,” said Mr. Leong. 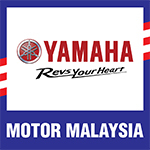 The convoy will make a brief stopover at the Hong Leong Yamaha Complex for a photography and media session on 14th March before proceeding to Pulau Pinang. Facebook users can follow the XPEDISI YAMAHA 135LC 2012 through WWW.FACEBOOK.COM/XPDC135LC.